Last Thursday I met with some amazing women for the Stamping Escape Class of 2014. We made quick last minute Christmas projects that would make great gifts. 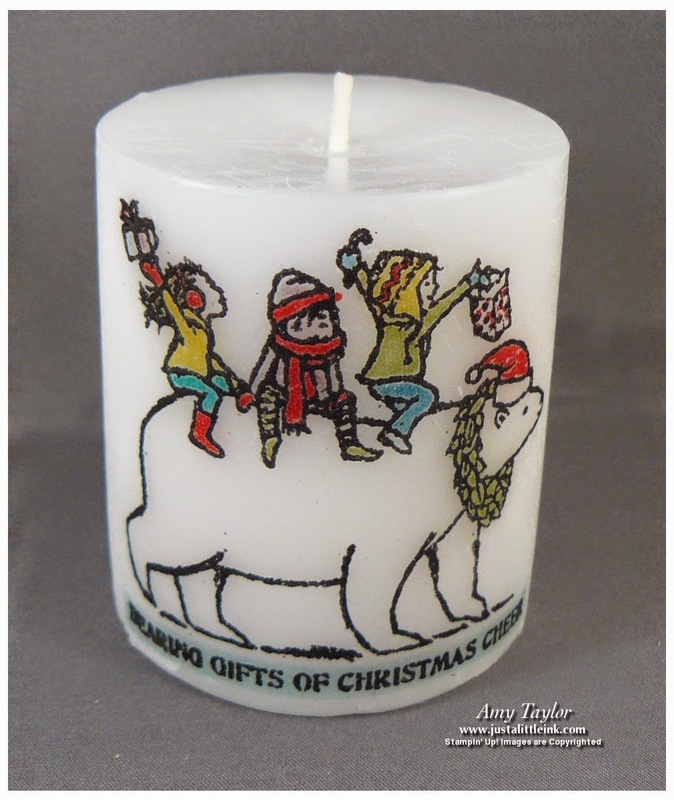 I can't take credit for this adorable stamped candle. 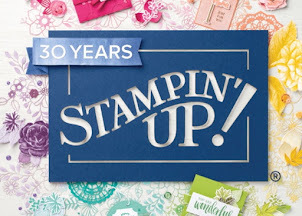 It's the creation of my friend and fellow Stampin' Up! Demonstrator, Kathy Howes. A dollar store candle, a piece of white tissue paper, stamps, markers, a piece of waxed paper and a heat tool and you have a great gift! 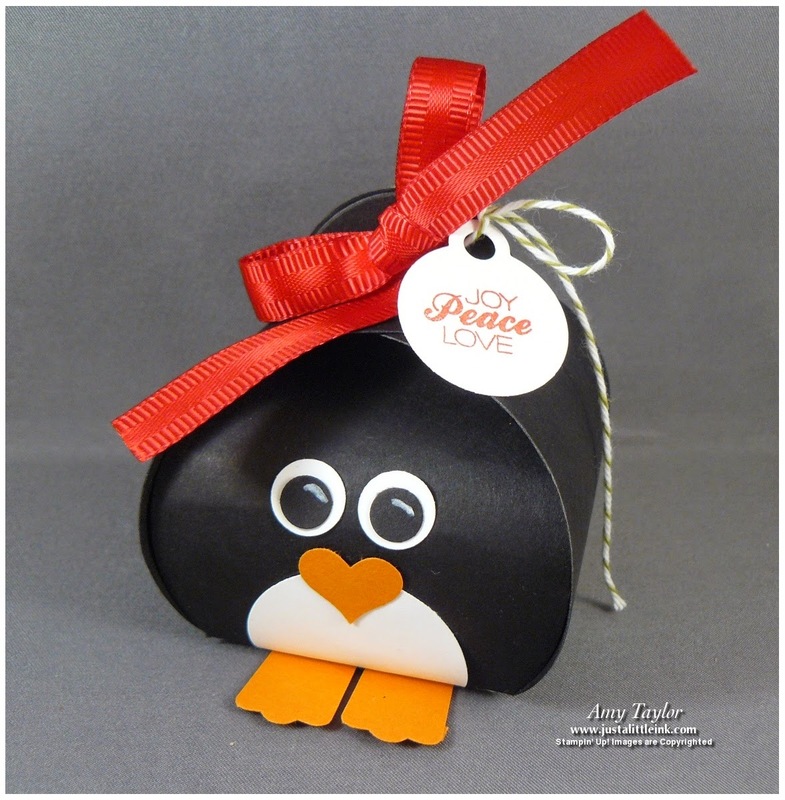 This adorable little box was made using the Curvy Box Thinlits die out of the Holiday Catalog. I got the idea from here, but updated it by using the current small heart punch for the beak and adding a stamped tag (the tag comes with the die) using the stamp set, Christmas Tagables. This is a great way to use those punches! 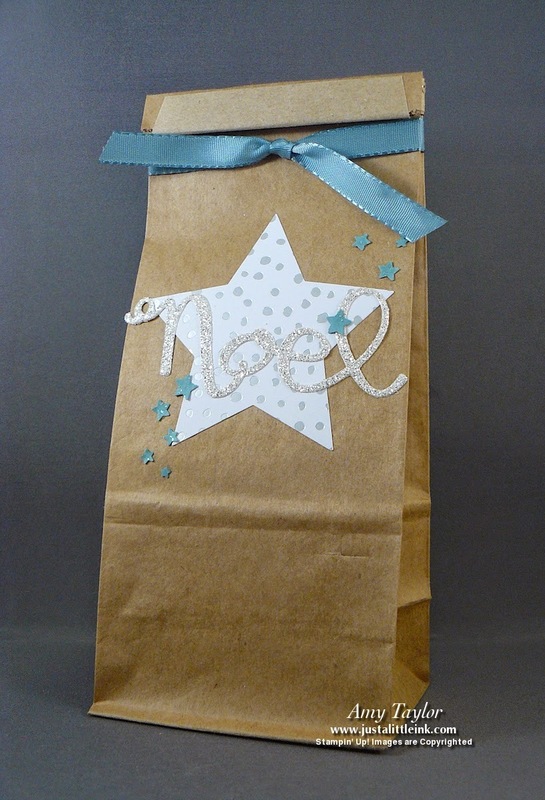 Finally, we made a quick gift bag using the Petite Cafe Gift Bags also from the Holiday Catalog. They are food-safe lined, so they are great to put baked goods inside! This one is taken directly from Stampin' Up!, I just used a piece of DSP instead of cutting a shape out of the bag. No stamps this time, but the star is from the Stars Framelits dies, and the "Noel" is from the Wonderful Wreath Framelits dies.